I’ve just gathered a quick statistic on the lines of code for the Equalizer sample implementations for GLX, WGL and AGL. All implementations do approximately the same thing. There is very little difference between the window systems. 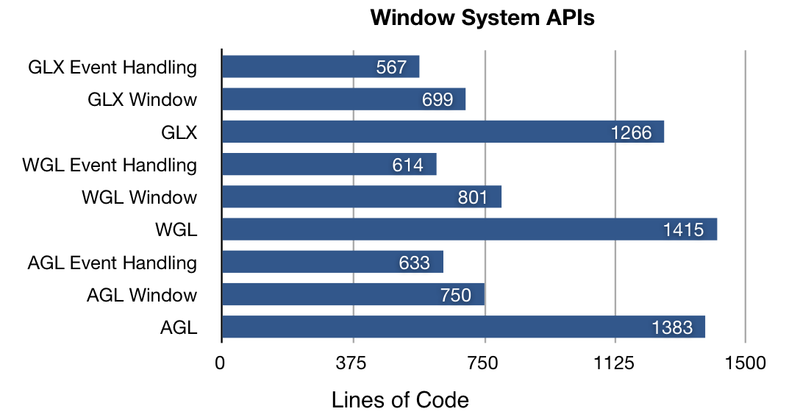 Surprisingly, GLX ‘wins’ even though it is the oldest API of the three.